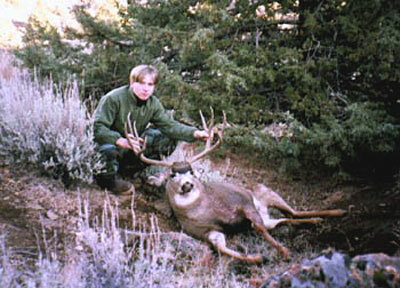 Sixteen-year-old Travis Sinclair of Oregon took this great mule deer buck in Eastern Oregon during the 1999 season. This was Travis' first deer. Andy Chester of Coos Bay helped Travis get his buck. Andy helped three juniors take their first deer during the 1999 deer season.